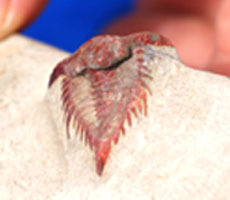 Description: this trilobite is too similar to Isotelus sp, but its eyes are different, also in the end of pygidium a long spine like a (mouse), the whole trilobite has a form of an arrow. 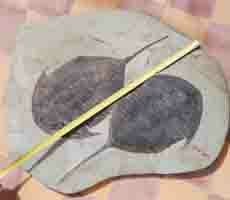 Description: a fantastic plate of two new trilobites in opposed direction. the name of the species isn't yet known. 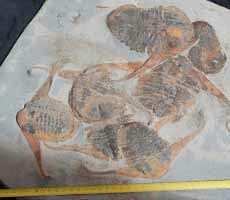 Description: big plate of new ordovician trilobite, they are still unidentified trilobite. 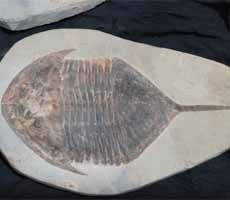 Description: new and rare trilobite, with orange exoskeleton, the color is making bug very important. 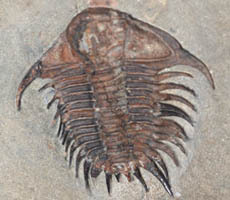 Description: this cheiruridae trilobite was found recently in Zagora's area, very similar to Hadromeros. We don't think that this species was described yet.